Marijuana’s long-term effects on health have been the subject of an ongoing debate. While many people believe smoking pot is harmless, studies have shown that using marijuana recreationally can lead to poorer verbal memory at middle age, an increased risk of experiencing symptoms of psychosis, and to being diagnosed with a severe mental illness. Researchers at Karolinska Institutet in Sweden are adding more fuel to the controversy with findings published in The American Journal of Psychiatry which suggests heavy pot use at a young age can increase the risk of early death. The study is the longest follow-up to date on marijuana use. “A fresh [World Health Organization] report has shown that cannabis has extensive effects on the health, even if the mental effects are the most salient,” lead author Edison Manrique-Garcia said in a statement. For the study, Swedish researchers combed through data of more than 50,000 Swedish male teens who were enlisted in the military at age 18 or 19 and followed in the National Cause of Death Register until around the age of 60. Researchers used the Cox Model — a tool used in survival analysis — to assess the relation between early cannabis use and death risk and whether that risk increased even more for early cannabis users who were later diagnosed with psychiatric disorders. Four thousand of the men involved in the study had died during the follow-up period. 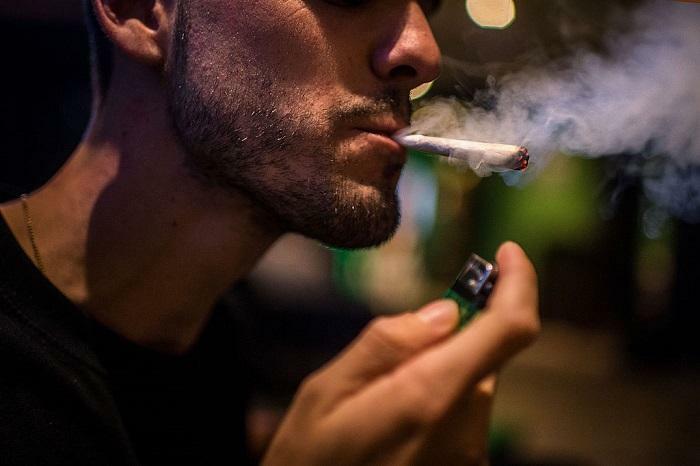 The data showed that men who had begun using marijuana heavily in their late teens were 40 percent more likely to die by the time they reached 60 compared to those who hadn’t used the drug. Researchers said this correlation remained even after they controlled for confounding factors such as alcohol use, mental illness, and social problems. For men who suffered from psychosis, the mortality rate was four times higher. However, study leader Peter Allebeck said this correlation was “independent of earlier cannabis use.” In other words, the death risks did not differ between those with a history of cannabis use and those without one. Since this is a longer follow-up study on cannabis use, some experts believe the researchers were able to track participants until they reached an age where the effects of early and heavy pot use caught up with them, taking a toll on their health. "Cannabis users have poorer health in general. You'd expect there to be increased mortality risk," addiction expert Scott Krakower, assistant unit chief of psychiatry at Zucker Hillside Hospital, told CBS News. "Marijuana users generally may have poorer diets and they might be tobacco smokers. There's an increased linkage between weed and tobacco.” Krakower was not involved in the study. Researchers said they weren’t able to tell whether heavy early cannabis use could be entirely to blame for the shorter life expectancy because information was not available about whether the individuals continued to use marijuana later in life. Yet, they believe their findings suggest that early marijuana use can increase death risk. "Our conclusion is that early cannabis use can contribute to premature death, particularly through injuries and suicide, and that this is unrelated to the increased risk of psychosis,”said Manrique-Garcia. Source: Manrique-Garcia E, Ponce De Leon A, Dalman C, Andreasson S, Allebeck P. Cannabis, Psychosis, and Mortality: A Cohort Study of 50,373 Swedish Men. The American Journal of Psychiatry. 2016.